For millions of people with diabetes who take insulin or medicines that stimulate the pancreas to release more insulin, hypoglycemia (low blood glucose) is an ever-present threat lurking in the shadows. And few things instill more fear in parents of children with diabetes and partners of adults with diabetes — not to mention people with diabetes themselves — than hypoglycemia that occurs in the middle of the night. Most people feel confident in their ability to deal with lows that occur while they are awake. The symptoms, even if subtle, can usually be recognized in time to down some rapid-acting carbohydrate and fix the problem. But the very thought of dropping low while sleeping gives many a feeling of complete helplessness. Will the symptoms be strong enough to wake me? Will I have the ability to get up and treat it? Or will I just lie there, unable to do anything about it? Sometimes people are completely oblivious to periods of low blood glucose that occurred while they were sleeping. The only clues left behind might be sheets or pajamas that are soaked with sweat or a rebound high blood glucose level the following morning. Although rare, there have been deaths reported that resulted from hypoglycemia that occurred while sleeping. The reason those deaths are rare is that the body usually reacts to low blood glucose by producing adrenaline, which causes profuse sweating, shaking, and a strong or rapid heartbeat. This will almost always awaken a person who is experiencing hypoglycemia or alert that person’s partner. Adrenaline also stimulates the liver to release some of its stored-up glucose (called glycogen) into the bloodstream. When low blood sugar continues over an extended period, a seizure may occur. The seizure will often alert family members, roommates, or housemates of the situation, so that glucagon can be administered and emergency personnel can be summoned. 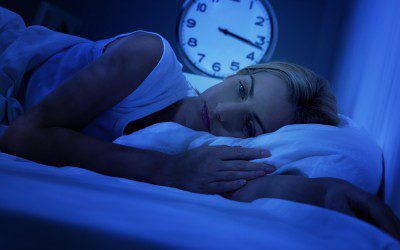 But even with the body’s ability to respond to low blood glucose on its own or to cause signs that would normally alert others to the problem, nighttime hypoglycemia continues to be a source of fear and anxiety for most people with diabetes and their loved ones. The good news is that nighttime hypoglycemia is both preventable and manageable. By understanding the causes of nighttime lows, people with diabetes can apply preventive strategies to minimize their occurrence. And by being adequately prepared for treating nighttime lows, their impact and severity can be diminished. Hypoglycemia is always caused by an imbalance of the factors that raise blood glucose (food and stress hormones) and the factors that lower blood glucose (physical activity, insulin, and other diabetes medicines). Most diabetes medicines cannot cause hypoglycemia. But certain ones can because they stimulate the pancreas to produce extra insulin regardless of the blood glucose level. These include the oral drugs chlorpropamide (brand name Diabinese), tolazamide (Tolinase), tolbutamide (Orinase), glyburide (DiaBeta, Glynase, and Micronase), glipizide (Glucotrol, Glucotrol XL), glimepiride (Amaryl), combination drugs that contain glyburide, glipizide, or glimepiride (such as Glucovance, Metaglip, Avandaryl, and Duetact), repaglinide (Prandin), combination drugs that contain repaglinide (Prandimet), and nateglinide (Starlix). (Click here to learn more about diabetes drugs that can cause hypoglycemia.) If you are not taking insulin or one of these medicines, it is highly unlikely that you will experience hypoglycemia. • Use of NPH in the evening. NPH insulin — whether taken alone or as part of a premixed insulin preparation — peaks 4–8 hours after injection and causes a rapid decrease in blood glucose level during this time. If your dose of NPH is peaking while you are sleeping, hypoglycemia is likely to occur. • Taking too high a dose of basal insulin. Basal insulin doses should keep your blood glucose level steady while you sleep. If an injected dose is too large or an insulin pump’s basal rate is set too high, your blood glucose level will tend to drop. • Taking too much rapid-acting insulin to cover bedtime snacks. Overestimating the amount of carbohydrate in your bedtime snack or using an insulin-to-carbohydrate ratio that is too high can result in low blood glucose 2–4 hours after taking insulin to cover a bedtime snack. • Taking too much rapid-acting insulin to correct high blood glucose at bedtime or during the night. For many people, each unit of rapid-acting insulin can lower blood glucose level more at night than during the day. Therefore, “correction” doses must be altered accordingly. Failure to account for “insulin-on-board” — or insulin that is still active in your system from previous injections or bolus doses — can also result in hypoglycemia when correction doses are given before bed. • Extra physical activity. After long or intense bouts of exercise or physical labor, blood glucose levels may drop for many hours. This can produce what is known as “delayed-onset hypoglycemia” while you sleep. • Alcohol consumption. When the liver is processing alcohol, it tends to secrete less glucose than usual into the bloodstream. Alcohol also masks the symptoms of hypoglycemia and might fool those around you into thinking you’re drunk when you’re really hypoglycemic. • Failure to check blood glucose at bedtime. Not knowing whether your blood glucose level is approaching a low range before you go to sleep leaves you susceptible to lows. Even a slight drop while sleeping can result in hypoglycemia. • Use of long-acting oral medicines. Drugs in the sulfonylurea class — which includes glyburide, glipizide, and glimepiride — cause the pancreas to secrete extra insulin virtually all the time, including while you sleep. Lower your dose or switch from NPH. If you use NPH (or premixed insulin containing NPH) at night, talk to your physician about lowering your dose or switching from NPH to either a “peakless” basal insulin, such as glargine (Lantus) or detemir (Levemir), or to an insulin pump. If you must continue to use NPH, taking your dose at bedtime rather than at dinnertime may prove to be beneficial. Check your basal dose. Regardless of the type of basal insulin you use, make sure it holds your blood glucose level steady while you sleep. If your blood glucose level drops more than 30 mg/dl from bedtime to wake-up, talk to your physician about reducing your dose. Switch to a short-acting oral drug. If you use a long-acting oral medicine, ask your physician about switching to a short-acting version or to an oral medicine that does not cause hypoglycemia. The drugs Prandin and Starlix work in the same way as sulfonylureas glyburide, glipizide, and glimepiride (they stimulate the pancreas to produce extra insulin), but they do so for just a few hours right around mealtimes, rather than all day and night. Set an appropriate target. Set an appropriate target blood glucose level for bedtime, leaving enough margin for error in case you drop a little bit while you sleep. Make sure your formula for calculating correction doses for nighttime highs is right for you. Remember, you may be more sensitive to insulin at night — and therefore need a smaller dose — than you do during the day. Don’t forget the insulin on board. Even rapid-acting insulin can take four hours or more to finish working. If you still have active insulin in your system at bedtime from injections or boluses given earlier in the day, deduct it from any correction doses that you would ordinarily give yourself. If you have a great deal of insulin on board and have not eaten in several hours, you may need a snack to prevent a drop — depending, of course, on your current blood glucose level. Don’t “graze” at night. Having numerous small snacks at night is asking for trouble. Instead, limit your snacks to just one at night, count the amount of carbohydrate accurately, and use an insulin-to-carbohydrate formula that produces normal blood glucose levels 3–4 hours later. Grazing (with frequent shots or boluses to cover the food) causes “stacking” of insulin and may produce a significant drop after you go to bed. Adjust for prior physical activity. Prolonged, vigorous exercise earlier in the day can make your body very sensitive to insulin for up to 24 hours. It also causes your muscles to absorb extra glucose to replace their glycogen stores. The same can happen when you travel (if you do a lot of extra walking) or when the weather warms up considerably. Consider having an extra snack (without insulin) at bedtime or lowering your dose of basal insulin if you have been much more active than usual. Think when you drink. Because alcohol can suppress the liver’s normal secretion of glucose, consider having an extra snack (without insulin) at bedtime or lowering your dose of basal insulin after drinking. Don’t forget to check your blood glucose level. Knowing your blood glucose level at bedtime every night puts you in a position to prevent a potential low. If your blood glucose is approaching the hypoglycemic range, a modest snack (without insulin) can restore it to a normal, safer level. Consider a CGM. Continuous glucose monitors (CGMs) have the ability to alert users when their blood glucose level is approaching the hypoglycemic range. Regular use of a CGM is associated with reduced frequency, severity, and duration of hypoglycemia in adults as well as children. A CGM can show you what direction your blood glucose level is headed at bedtime and additionally show the blood glucose patterns that occur while you sleep. Although CGMs may not detect every low, they will provide an early warning for the vast majority of lows — and much earlier than most people can detect them on their own. Having low blood glucose during the night is not like having it during the day. It’s dark. You are likely to be groggy. And your coordination and equilibrium may be off. So think ahead: Make treating a nighttime low as easy as humanly possible. Stick with dextrose. For treating low blood glucose, nothing works faster than dextrose — a form of glucose that is the main ingredient in most products marketed to people with diabetes for the treatment of hypoglycemia. Use a liquid or gel. It may be difficult to chew when you’re half asleep and hypoglycemic. So instead of relying on glucose tablets, consider keeping a liquid treatment at your bedside, such as a glucose gel or bottle of liquid dextrose. Whatever you use, remove the wrappers and loosen the cap ahead of time so that it is very easy to access the container’s contents when you need it. Have glucagon available. Injected glucagon raises blood glucose by making the liver release stored glucose. Make sure that someone who lives with you is trained on how to administer glucagon in case you are unable to eat or drink. Let that person know where you keep your glucagon kit, and replenish the kit before the contents expire. The nighttime hypoglycemia specter may show up from time to time, but that doesn’t mean you can’t handle him with relative ease. Research has shown that severe hypoglycemia — involving loss of consciousness or the inability to wake up, seizure, coma, or death — takes some time to develop. Dropping suddenly to a very low blood glucose does not usually lead to these types of severe states. However, even a mild low that goes untreated for several hours or more can cause the brain to malfunction significantly and lead to a severe low. So the key to preventing severe lows (during the day or night) is early detection and rapid treatment. Frequent blood glucose monitoring and use of a continuous glucose monitor can be very helpful in detecting and treating mild hypoglycemia early. However, you and your partner should be aware of even the subtlest signs of hypoglycemia while you are sleeping. Symptoms can vary greatly from person to person, so take the time to think about it and talk it over with your partner. Do you have unusual dreams? An urge to urinate? Do you twitch or talk in your sleep? Do you start to perspire? Become more restless than usual? Make a commitment to check your blood glucose and act on the reading (using the treatment strategies listed above) as soon as you or your partner notices symptoms. And once the nighttime hypoglycemia specter has been brought under control, think about what might have brought him into your bedroom in the first place. With careful thought and the help of your health-care team, you should be able to figure out a way to exorcise him for good. Gary Scheiner is owner and Clinical Director of Integrated Diabetes Services, a private practice specializing in intensive insulin therapy. He and his team of certified diabetes educators work with people throughout the world via phone and the Internet. He can be reached at [email protected], or toll-free at (877) 735-3648.